1.1 There is one solution for your ad interruption for your Youtube Videos. When you browse the video on Youtube every video will show you interrupted ads this is the drive you crazy and so much disturbance for your serious work.block ads on youtube, how can you stop these advertisements? There is one solution for your ad interruption for your Youtube Videos. It is also a great tool that you can surf the web without annoying ads. 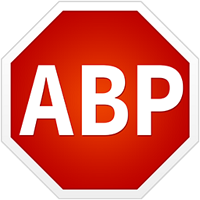 Adblock is an open source project using more than 300 million users. Adblock can block tracking, malware domains, banners, pop-ups and video ads including in Facebook and YouTube also. The choice is your for ads if you want to see ads on the website you can Enable this feature and if you want to disable as your choice. This is possible to block like flashy banners, pop-ups and much more. Disable sharing buttons which do you didn’t want like facebook, twitter, google and other websites. You can disable all websites features of sharing of social media buttons. In today’s online world no. of firms tracking your online activity and browsing history. with this feature of ad-block plus, you can easily disable tracking. Your computer is slow when you opening and your browser is riddled with more pop ups it may be infected with malware and harmful viruses. You need to install Adblock plus because Adblock is protected your computer against viruses, trojan horses, worms, adware, and spyware. Make your smartphone super fast by using Adblock browser.You can use their tool on your smartphone. Download their Browser and Browse fast, safe and free of without ads with Adblock Browser. You can block ads on browser that you uses blocking ads will make your page to load faster and helps to use fewer data in this post you can block ads on youtube also check trick for free airtel 3g,please support us by following on Facebook, Google plus and twitter to get updates & For any questions or advice comment below I will try to help out thanks for visiting and stay tuned here at tricks5.com for more tricks, offers& more like this.